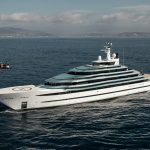 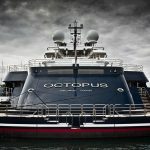 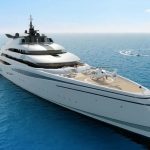 In designing the exterior lines of the 120-metre superyacht Amara, Sam Sorgiovanni ‘wanted to portray a very strong and muscular form that was progressive in design but with a timeless appeal.’ Built by Dutch shipbuilder, Oceanco and recently unveiled, the distinctive long bow of the Amara serves to accentuate its generous proportions. 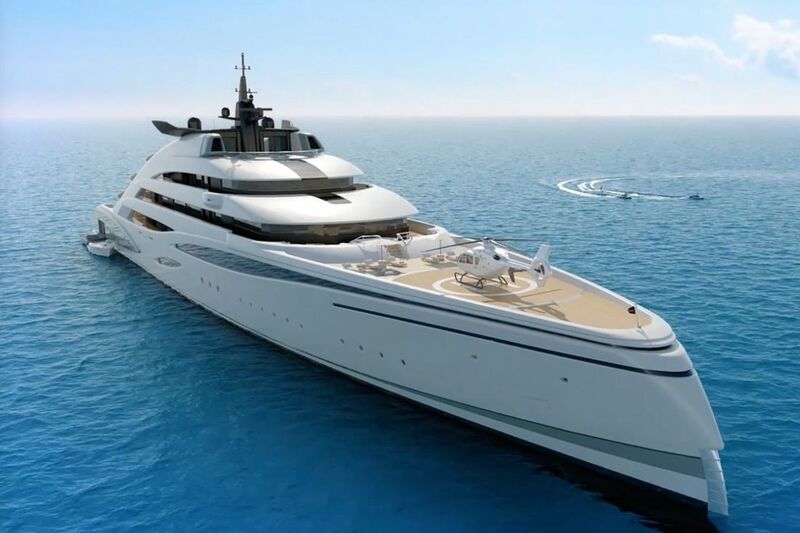 This superyacht has many distinctive features with the external design working in harmony with the internal design and decor with all bearing the trademark of high quality, which is Sorgiovanni’s signature. 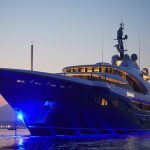 Features include a pool bar, waterfall from one deck to another, beauty treatment area, cinema and a private plunge pool in the owner’s area to mention just a few. 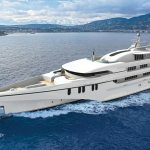 There is room for 20 guests, with a private owner’s suite featuring a plunge pool and dining for over 20 people on the aft deck.